The VF380 comes at a time of change in the face recognition world with new hardware platform and latest 7.0 algorithm, allows faster enrollment and identification. Integrated RFID Technology adds a special value to this product. VF380 is a face identification T&A terminal with simple access control functions, which can connect with 3rd party electric lock, door sensor, and exit button. Face, PIN and RFID recognition modes are available. VF380 captures the relative position, size, and shape of the user’s eyes, nose, cheekbones, and jaw features to ensure accuracy of the identification. All the settings can be easily done on 3-inch TFT touch screen. 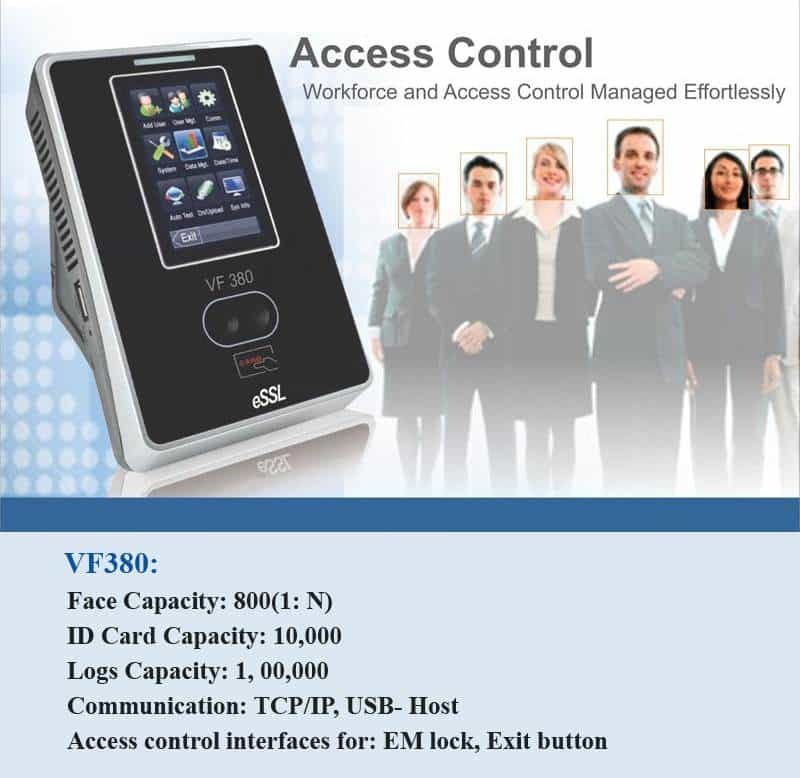 With a VF380 you can manage your workforce and access control efficiently.